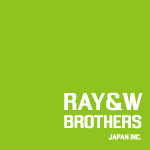 Value | RAY&W BROTHERS INC.
Small changes make wonderful days. Always for you. And act in good faith. So that all people’s lives will be better.